Lawrence J. Mentkowski is a financial consultant for AXA Advisors LLC. 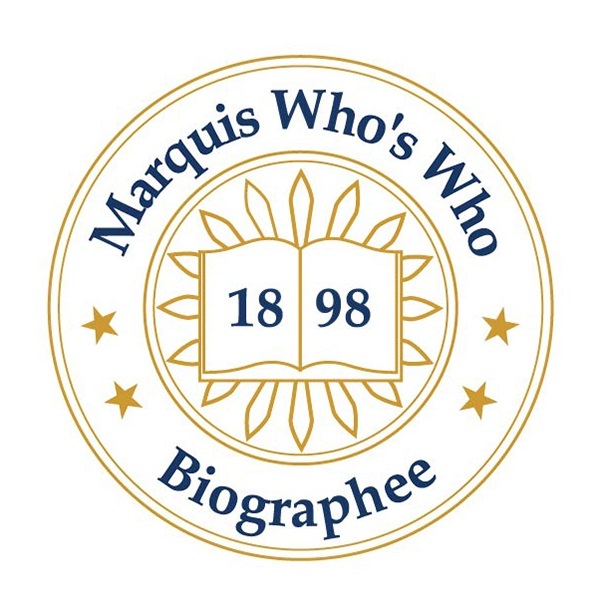 NORTH TONAWANDA, NY, September 17, 2018 — Marquis Who's Who, the world's premier publisher of biographical profiles, is proud to present Lawrence J. Mentkowski with the Albert Nelson Marquis Lifetime Achievement Award. An accomplished listee, Mr. Mentkowski celebrates many years' experience in his professional network, and has been noted for achievements, leadership qualities, and the credentials and successes he has accrued in his field. As in all Marquis Who's Who biographical volumes, individuals profiled are selected on the basis of current reference value. Factors such as position, noteworthy accomplishments, visibility, and prominence in a field are all taken into account during the selection process. A retired manufacturing executive who worked in the field for more than 40 years, Mr. Mentkowski went back to work in 2015 as a financial consultant for AXA Advisors LLC. A subsidiary of AXA Financial, Inc., AXA Advisors is a member of the global AXA Group and an affiliate of AXA Life Insurance Company in New York. Mr. Mentkowski also began serving as the president of Kung Fu Self Defense that same year. As a leader in the business world, he has always enjoyed serving the people that he has led. Learning how to help and guide employees, as opposed to just giving orders, has always helped his subordinates to progress. It has been a quality that he has always strived for. Mr. Mentkowski's career in manufacturing began in 1976 as a market research analyst for the plastics division of Carborundum Company, a manufacturer of high quality forming and finishing products located in Niagara Falls, NY. He later spent several years in various roles in the bonded abrasives division before earning vice president and general manager roles with such organizations as Jiffy-Tite Company LLC in Lancaster, NY, ICE, Inc., in Clarence, NY, and Now Tech/PCB, Inc., in Lackawanna, NY in the automotive and aerospace business. Toward the end of his career, he served as the vice president and general manager for American Stainless Corporation in Buffalo, NY, between 2006 and 2013, followed by another two years as the general manager for K-Tech, Inc., between 2013 and 2015. A longtime member of several professional organizations, Mr. Mentkowski served on the board of directors of the Buffalo chapter of the American Production and Inventory Control Society, as board president of the Carborundum Management Club and on the board of directors of Industrial Forum of Eastern Erie County. He is affiliated with the Amateur Athletic Union, the Buffalo Chamber of Commerce, and Vistage, an international organization of executives dedicated to enhancing the lives of entrepreneurial leaders among other local organizations. Completing a Bachelor of Science in management and Master of Business Administration at the State University of New York in 1975 and 1977, respectively, Mr. Mentkowski is certified in production and inventory management. He holds a Series 7 and Series 66 and is licensed in Life and Health in New York State. Mr. Mentkowski has notably been included in the first edition of Who's Who of Emerging Leaders in America and the 24th and 25th editions of Who's Who in Finance and Industry. Married to Elizabeth Jean Gow for over 40 years, Mr. Mentkowski and she share four children and six grandchildren. In recognition of outstanding contributions to his profession and the Marquis Who's Who community, Lawrence J. Mentkowski has been featured on the Albert Nelson Marquis Lifetime Achievement website. Please visit www.ltachievers.com for more information about this honor.